LSVCC batted solidly, including undefeated 30 from CB, and a few lusty blows from NM. Big guns lower down order not needed, and trophy secured at same time as Ashes victory at Oval with MT and skipper JH still at crease. All retired to Crown for pork, trimmings and well earned refreshments. David Watson, president of Kimbolton Castle Rotary presented unique trophy to skipper, and man of the match to Tony Moss, captain of the losing side....challenge to be resumed next year. Finalising a logo for shirts and maybe caps next season...have a look at images below and let me know which one you prefer. The basis for the design is from 109 squadron shield, from whom we originally borrowed the motto 'primi hastati'. I think left one for shirts right one for caps ? Sunday June 8th, The Crown, playing field, 1pm (food and refreshment afterwards in pub). Tuesday 10th June, Saints and Worthogs, playing field, 6pm. 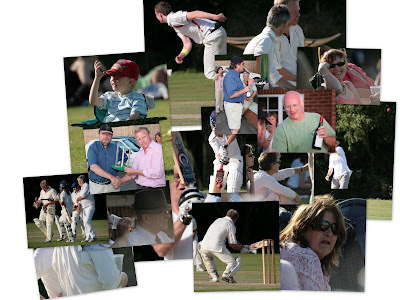 Friday 20th June, Eltisley, playing field, 6pm (F and C after). 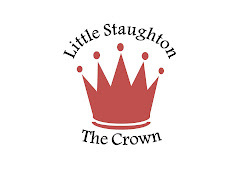 Sunday 22nd June, Great Staughton ASHES, playing field, 2pm (match tea/BBQ). Sunday 3rd August, saints and Worthogs, playing field 1pm (tbc). Sunday 31st August, London side, playing field 2pm (match tea). To be arranged, Berkley St, Presidents game (27th July or 7th September), ASHES. For more junior cricketers there are sessions on Wednesday evenings on playing field at 6:00 pm ....Sessions start at beginning of May and are expected to run until October subject to weather. Nets for all on playing field starting soon. Entrance to playing field opposite Church Lane. 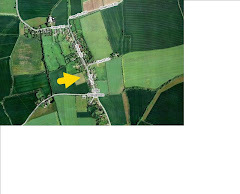 Click on photo for map link.